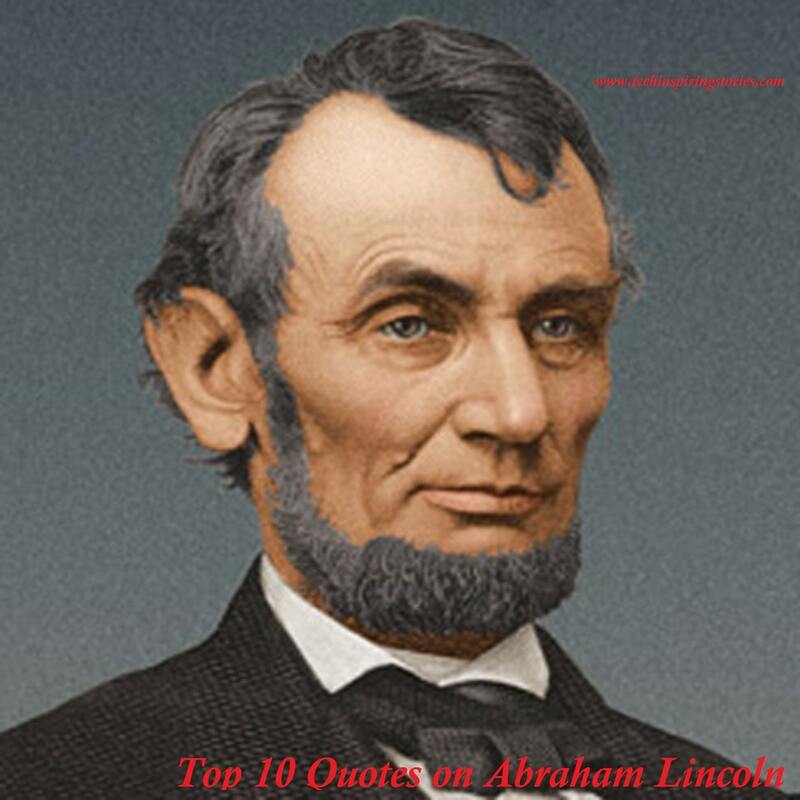 Top 10 Quotes on Abraham Lincoln:- Abraham Lincoln began on March 4, 1861, when he was inaugurated as the 16th President of the United States, and ended upon his assassination and death on 15 April 1865, 42 days into his second term. Lincoln was the first member of the recently-established Republican Party elected to the presidency. He was succeeded by Vice President Andrew Johnson. Lincoln presided over the Union victory in the American Civil War, which dominated his presidency. Abraham Lincoln was born 12 Feb 1809, in a single-room log cabin, Hardin County, Kentucky. His family upbringing was modest; his parents from Virginia were neither wealthy or well known. At an early age, the young Abraham Lost his Mother and his father moved away to Indiana. Abraham Lincoln had to work hard splitting logs and other manual labor. But, he also had a thirst for knowledge and worked very hard to excel in his studies. This led him to become self-trained as a lawyer. He spent eight years working on the Illinois court circuit; his ambition, drive, and capacity for hard work were evident to all around him. Lincoln became respected on the legal circuit and he gained the nickname ‘Honest Abe.’ He often encouraged neighbors to mediate their own conflicts rather than pursue full legal litigation. Lincoln also had a good sense of humor and was deprecating about his looks.